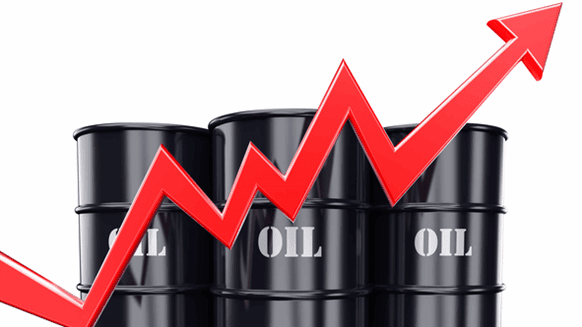 Crude prices have come down and it is a double Christmas for the Importing countries. But for the global economy and particularly for 2019 it does not seem to Happy New Year. Falling prices creates problems for exporting countries. Currently, the shale producers are under pressure a cutting aggressively on investments for 2019. The US has replaced the Gulf countries in terms of production. Whatever investments were done in 2017 and 2018 by the US shale a producer have fetched returns but this does not support for 2019. Currently U.S. crude output 16 percent to about 10.9 million barrels per day for 2018, above Saudi Arabia and Russia. Production has been expected to rise 11 percent more in 2019 as large oil firms and independents added wells this year. 2018 is gone and before going it has given a clear indication to the oil producers to be at alert. There are many factors which are ruling the demand outlook for 2019 but prior to that one needs to know how the oil producing companies in the US are looking ahead. Fall in investments drags down the consumption and creates unemployment. Don’t forget that many of the shale companies have to file for Bankruptcy when crude below $30/barrel in the last 3 years. Currently, many US shale companies are struggling and cutting down on 2019 investments. Centennial the company plans to cut its 2019 capital budget by about 15% compared to 2018 while increasing production. Service costs of the industry have increased by about 35% whereas salaries have gone up 100% from 2016. Goodrich Petroleum Corp last week also cut its 2019 capital spending plan by US$40 million and Abraxas Petroleum Corp said it has scrapped a US$108 million budget draft. Borrowing cost has gone up significantly as interest rates are going up and hence its double sword problem for the producers. Based on the current supply strength and the war between cut down of production I will not be surprised if an emergency meeting of OPEC is being held to cut down production further. Once the decision to cut down and further cut down kicks in followed with a drop in US investments in crude production the prices will shoot to $80/barrel. This might sound lunatic but the other logical reasoning is that short positions of crude are now getting winded down and hence leaves more opportunity for an increase in price. All eyes are on the Month of January 2019 where OPEC and Russia agreed to cut joint oil production by 1.2 million bpd. The deal is set to take effect this coming January. Yes, of course, one weapon which can change the climate is Mr. Trump-Iran. If Mr. Trump goes wild on Iran and its sanctions or any new fresh sanction on any country the crude will rebound and OPEC will not have to intervene much. The demand for crude from China for the US remains bleak. China has many options and they are least interested to have US production at their door. US-China trade war, Brexit slowdown, Germany (amid political uncertainty), Italy’s current growth-debt-political dynamics and its collision course with the European Commission over budgetary issues. Further global central banks are gradually withdrawing easy monetary policy which will increase the borrowing costs for firms and consumers in both developed and emerging economies in 2019. This would also place the possibility of a further rise in long-term bond yields. Don’t forget that the Chinese economy, which accounts for around 15-16% of global GDP and whose growth prospects matter significantly for emerging markets, is under pressure which exerts pressure on the global economy. The most interesting thing will be how deep the OPEC cut down and how the global demand places pressure on the production facility. The fear of recession is more due to the many factors which have been planted in 2018 as seeds. The Trump administration will lose its monopoly and hence decision making and rest of the things will find lots of glitches in the upcoming 2019. The point is clear either Trump uses some strategies to keep the price increase so that they survive or else the OPEC does something to keep prices up but the final demand depends upon global economic growth-which seems to be a tough outlook for 2019.